I got my new teck keyboard from massdrop. 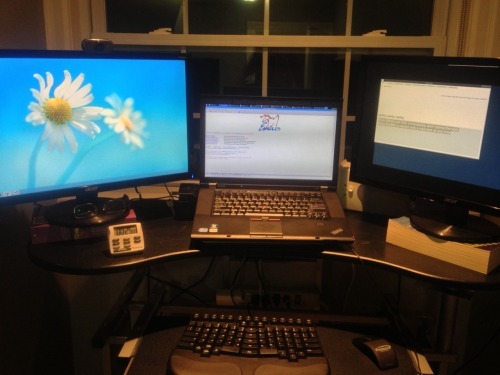 It takes some getting used to, but I’m already typing faster. Check out the autohotkey script I used to ease the transition. In my effort to become a better touch typer, I began looking into ergnomic and mechanical keyboards. 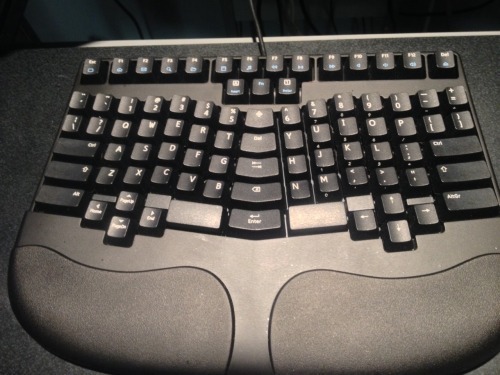 The cream of the crop for ergonomic symetric mechanical keyboards appears to be the ergodox. It is open source hardware, so you basically have to order the parts your self and get out your soldering gun. They sell these in kit form all the time on massdrop, but this seemed like a little more effort than I wanted to put into a keyboard at this juncture, so when massdrop did a mass buy for the so call Truly Ergonomic Keyboard, which is a compromise between a traditional keyboard and ergodox, I jumped on it and got my TECK as 25% off. Keyboard arrived very quickly from massdrop and I’ve been using it full time for about a month now. I made some modifications to the keymapping using the the included software, switching the control and shift keys to more traditional spots. I also used AutoHotkey on windows and xcape on Ubuntu to get my right control to work as an enter key if pressed alone and some other similar tweaks. Notes from first week of use. I want to be able to use normal keyboards when I have to, so I made some tweaks to the TECK keyboard to keep it close to default layout.